Asus has announced which devices of the convoluted ZenFone 4 family are coming to North America. The ZenFone 4 Pro, ZenFone 4, and ZenFone 4 Max all feature dual-camera systems, front-mounted fingerprint sensors, and Nougat. They'll be heading our way soon with their emphases on strong photography capabilities and value propositions. To make this easier to digest, I have split the three phones into their own sections. We'll start with the king of the bunch. Touted as Asus' latest and greatest for 2017, the ZenFone 4 Pro features the best specs and camera performance of the family. Here, you get a 12MP f/1.7 main lens and a 16MP telephoto with 2X "optical" and 10X total zoom. The former comes with OIS and Asus' "SuperPixel" engine to create better nighttime photos. Otherwise, this is a pretty typical flagship device. Snapdragon 835, 6GB of RAM, fingerprint sensor, and so on. It is available in black for $599 from Asus, Amazon, B&H, Best Buy, and Newegg. Just check the source links below for your retailer of choice — though, at the time of writing, the links show that the device isn't available for purchase yet. Coming in as the mid-ranger, the ZenFone 4 still sports a dual-camera setup, which keeps the same 12MP IMX362 sensor as the ZF4 Pro, but gets a secondary 8MP 120° wide-angle lens instead of the telephoto one. The screen technology shifts to Super IPS+, keeping the 5.5" measurement and 1080p resolution. The battery is also slightly smaller at 3,300mAh. The Snapdragon 626 powers the whole thing, coupled with 4GB of RAM and 64GB of storage. It's available in both black and white for $399 from the same retailers as the ZF4 Pro, though the links aren't up yet like before. Lastly, we have the ZenFone 4 Max. It comes in two variants, a 5.5" and a 5.2" — so that would make the latter a ZenFone 4 Max Mini, naturally. With a focus on battery life and photography, the ZF4 Max won't amaze you with its power... it's not that impressive. Still, it's a phone aimed at budget-conscious people who want a good photography experience and a selfie flash. Both variants feature large batteries (5,000mAh and 4,100mAh, respectively) that can also charge other devices via a USB OTG connection. Asus assures us that the phones will never let their batteries fall below 30% when charging other things, so that's good. The 5.5" ZF4 Max apparently has 46 days of "4G" standby time; the smaller one has 37 days. The 5.5" ZenFone 4 Max (1) is available in black for $199, while the 5.2" (2) version costs $169 for the black version. Like the other two phones, the ZF4 Maxes are not available to purchase at time of writing. FREMONT, Calif.--(BUSINESS WIRE)--ASUS today announced the availability of the ZenFone 4 family in North America: the ZenFone 4 Pro, ZenFone 4, and ZenFone 4 Max. The ZenFone 4 family is the first family of smartphones to all feature dual rear cameras, enabling users to capture the best photos in any scenario, at any distance, and in any lighting conditions. Combined with ultra-fast connectivity, users can instantly share their beautiful photos with friends and family, and enjoy using all of their favorite apps and services with unprecedented speed. The ASUS ZenFone 4 Pro ZS551KL-S835-6G64G-BK is immediately available at a MSRP of $599 at the ASUS Store, Amazon, B&H, Best Buy, Newegg, and other leading retailers. 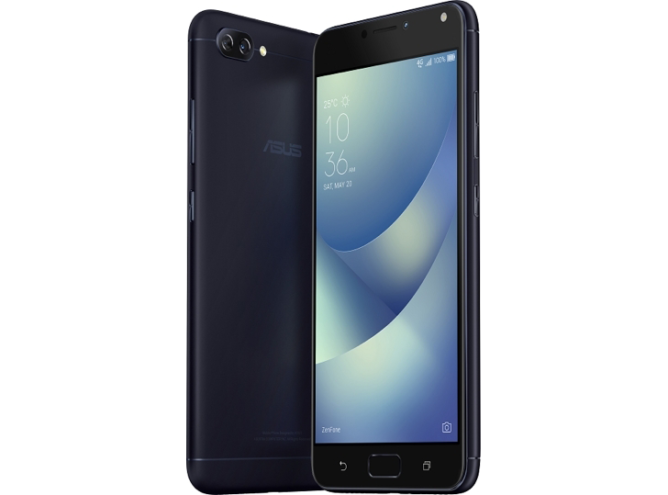 The ASUS ZenFone 4 ZE554KL-S630-4G64G-BK (Midnight Black) is immediately available at a MSRP of $399 at the ASUS Store, Amazon, B&H, Best Buy, Newegg, and other leading retailers. 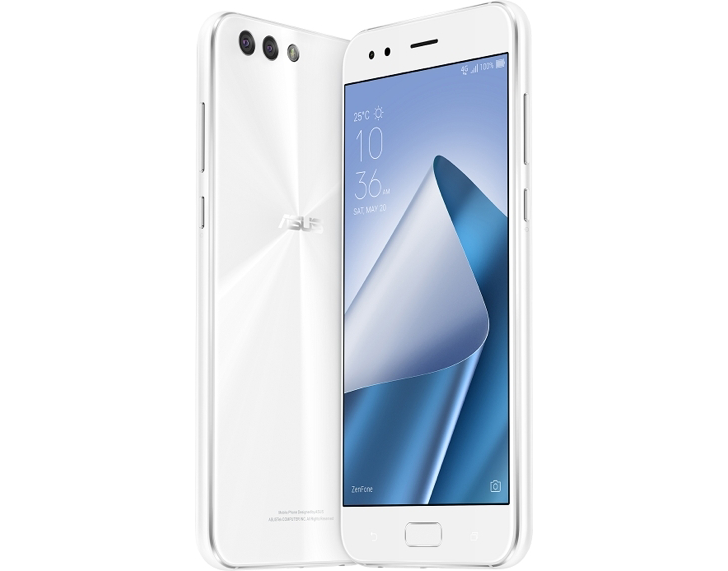 The ASUS ZenFone 4 ZE554KL-S630-4G64G-WH (Moonlight White) is immediately available at a MSRP of $399 at the ASUS Store, Amazon, B&H, Newegg, and other leading retailers. 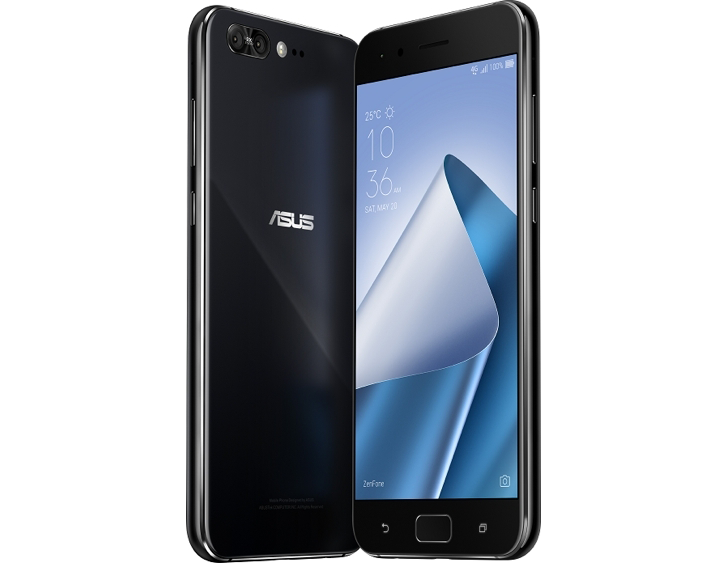 The ASUS ZenFone 4 Max 5.5” ZC554KL-S430-3G32G-BK (Deepsea Black) has been available since September at a MSRP of $199 at the ASUS Store, Amazon, Newegg, and other leading retailers. The ASUS ZenFone 4 Max 5.2” ZC520KL-S425-2G16G-BK (Deepsea Black) is immediately available at a MSRP of $169 at the ASUS Store, Amazon, B&H, Best Buy, Newegg, and other leading retailers.